Where is it possible to legally obtain powdered alcohol in the USA and Canada? I recently came across this Wikipedia on alcohol powder or powdered alcohol, which is also known as palcohol. Palcohol will be available in vodka and rum varieties, as well as mojito, margarita, and other premixed cocktail flavors. It was officially approved by the Alcohol and Tobacco Tax and Trade Bureau (TTB) earlier this month, and Mark Phillips, its creator, says we can expect to see it in stores this fall. 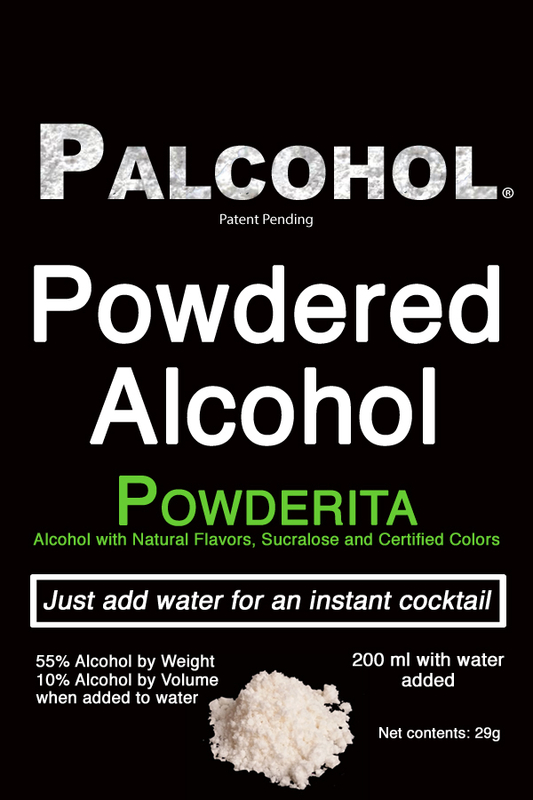 Some States have already banned this product, so I would like to know where I could obtain legally powdered alcohol in the USA or Canada, if at all? All you need is water to mix with the powder and you have a normal alcohol drink. As Steve S. says, the "Palcohol" product does not seem to be on the market at the moment, and their FAQ states "When will it be available? As soon as we can. We're working on it. No samples will be released ahead of time."... but in the meantime, you could always buy some cyclodextrin powder (easily sourceable from Amazon US), put your favorite azeotropic firewater into a spray bottle and spray it on, if you were so inclined. Here is a 1974 patent describing a process that gets to ~60% ethanol by weight of end product; in the same ballpark as the "Palcohol" packet mentions. Thunderf00t has suggested using feminine pads instead as a better all-round idea. However, as of January 4, 2016, the product is not yet available for sale and legalization remains controversial due to public-health and other concerns. Researchers have expressed concern that, should the product go into production, increases in alcohol misuse, abuse, and associated physical harm to its consumers could occur above what has been historically associated with liquid alcohol alone. I went to the website and it looks like he's looking for investors to start production. You need to buy the rights to produce it in a certain country. My gut is telling me there is no mass market for this product and things have stalled out. Not the answer you're looking for? Browse other questions tagged canada or ask your own question.